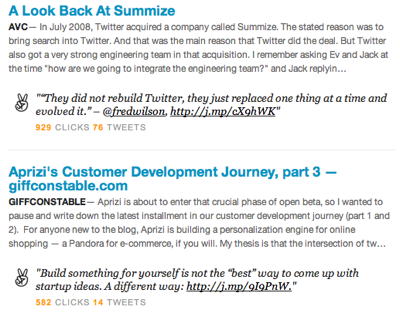 I just subscribed (via email) to the Venture Hacks Daily Newsletter. This should be a big time saver for me and for those of you who do the same thing Venture Hacks does every day. If you want to subscribe, here's how.